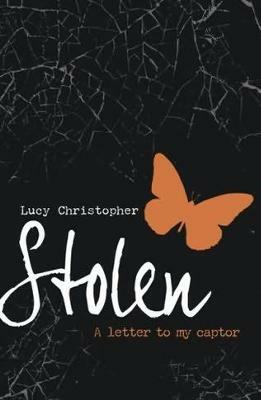 Stolen by Lucy Christopher is one of those books that you put down and think, "Wow." Your whole soul aches and your mind has trouble coming up with a way to describe how you feel. This book addresses something so tragically common, many of us never bother to think about it: kidnapping. The main character, Gemma is taken by someone she almost recognizes. The kidnapper, Ty, uses drugs, disguises, and careful planning to take her away. He's in love with her and wants her to feel the same way. The style Lucy uses to create this story is different and almost magical in the way it paints the story on your heart. Gemma's actually writing a letter to Ty. It's a whole new perspective. It was almost jarring trying to remember that she was writing to him and not to me as the reader. The way Gemma feels about Ty and the way her feelings changed throughout the book, made me question myself. How would I feel if I went through this? Usually when an author writes something and they want you to feel a certain way, they don't manage to pull me in. To me, the book that can do that, that can make you feel ways you didn't even know you felt, is a truly amazing book. Every time I started rooting for Gemma to fall for Ty, or for her to never have to go back, she would say something that changed my mind and made me just as confused as she was. I would definitely read this book again and as soon as I finish writing this review, I'm going to ask one of my friends if she wants to borrow it, because this is a book that I know she'll love.